A strong personal brand will distinguish you in a tough job market. Once you've designed your personal brand and have a personal brand name, use this handy list of suggestions to implement your standout personal branding strategy. Publicize your brand-related successes and achievements. Make yourself easy to contact for thoughts and questions via email, Twitter, Skype, internet messaging, etc. Keep in mind that where you interact online also conveys messages about you, and then stick to the websites and communities that will help most in reaching your goals. Choose an appropriate personal avatar. Consider using a personal logo. Join brand-related communities on social media (such as LinkedIn Groups), in discussion forums, newsgroups and mailing lists. Be helpful by sharing links and resources that you know people will enjoy. An ‘ask an expert' website to answer questions about your profession or area of expertise. Discussion forum about your industry that you would moderate and participate in. A personally-branded version of a free online tool that your audience will find useful. Register your own name as a domain name. If not available, use your personal brand name or some variation that won't confuse people and will still reinforce your brand. Syndicate your blog in brand-related sites and networks. List your blog in pertinent website, blog and RSS directories. Exchange blogroll placements with industry bloggers. Website personal profiles (like Ning‘s) that allow you to fill in a short bio and list your website or blog. Software-based personal profiles, like Skype‘s. The name field in blog comments forms should mention your personal brand name. The website field in blog comments forms should point at the website that best brands you, whether your blog, social media resume, LinkedIn profile, or anything else. Considering the time investment involved, be selective in choosing the right social media for you, and then complete your personal profiles with your branding messages. Use Twitter or other micro-blogging services to network, ask and answer questions, share and learn. Create a social bookmarking account (e.g. on del.icio.us) specifically for articles related to your profession or interest, and then encourage people to help you find related articles. Arrange to have bios posted about yourself on Wikipedia, Knol, Squidoo and other user-generated media. Launch a Facebook Page about your industry niche. Tie together everything in a dedicated FriendFeed profile that allows people to follow your online activities from one source. Produce your own podcasts (audio or video). Put together a video resume. Dedicated video channels for you on sites like YouTube. Launch an online initiative related to your profession. Participate in other online initiatives to get noticed. Put out press releases when you have a newsworthy accomplishment to share. Write op-ed articles for mainstream media. Start a newsletter about your field of expertise. Conduct (free?) webinars about up and coming topics. Grow an affiliate network to promote your products, which means they're also promoting you. Likewise, promote products that you can recommend honestly and whose buyers will appreciate you bringing it to their attention. Leave insightful comments on related blogs. Have online chats or Q&A sessions about brand-related topics. Guest post on pertinent blogs. Interview industry celebrities, trendsetters and other people of interest. 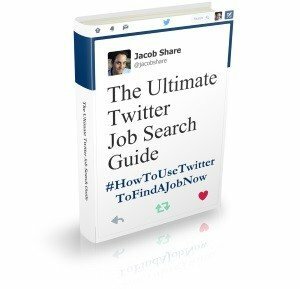 Be one of those people of interest and get interviewed on related topics. Post presentations you've given on topic, such as by publishing them on your LinkedIn profile and blog. Release free reports about latest events in your industry and your predictions for the future. If you liked this article, you'll also enjoy 11 Rules for Personal Branding Success with Avatars. Looking to position yourself? 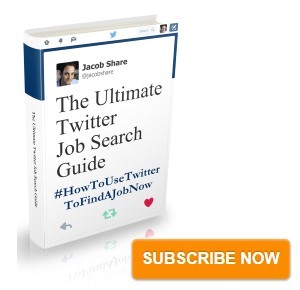 Subscribe to JobMob via RSS or email and follow me on Twitter to learn how to brand yourself into your next job. What about using Video Resumes??? Several web sites provide a great service to market yourself using Video Resumes. see http://www.mayomann.com or http://www.careerbuilder.com etc. they have implemented that very nicely. Isn’t it time to add that feature to our Resume? Rita- thanks for the suggestion. Mike- good idea! I’ve added it to the list. Happy to find your blog, Thanks for sharing this great useful information! Hi Jacob, found your blog from @DanSchawbel’s blog (your guest post about alltop). Wanted to comment about your advice–leave a comment on relevant blogs. I totally believe in this strategy. I usually leave my twitter handle as my name (as it is my name) and try to get to know the authors of different blogs as my way of networking. If the blogger cares about the community that he is building he’ll check you out, if he/she doesn’t–so be it. If you want your personal brand to be xyz (I want to be known as a young entrepreneur) then find relevant blogs and get to know bloggers…hopefully they’ll check your stuff out and get to know you! This is a great blog overall, but this post is what caught me. Nowadays, in such a technological & internet-based world, it is so incredibly important to get your name out and use it wisely for possibly career opportunities. These suggestions are wonderful! Thanks so much for the tips! Hesham- glad you like the article. @MattWilsontv- thanks for your tips. Blog commenting is a fun way to get attention but in most cases it’s relatively inefficient compared to some of the other tactics I mention above due to the time it might take you to type your insight vs. the number of people who will actually see it. JAYDEEP- contact any international manpower companies that you can meet with where you live and that can place you in the UAE or anywhere else you’re willing to work. Vika- thanks for your compliments, glad you found this article so useful. It’s like giving myself a reality check, a blog audit. You post has given me some ideas to improve, while testing out some that I overlooked earlier. It’s my wish to release a report after a period of time, after the data-collecting & testing out’s. Thanks for sharing, good job on the compilations. 50+ Tips to Brand Yourself Online – http://tiny.cc/oOXgi – also a great quick read. The real challenge is to convince people online that you are a person, not a product.